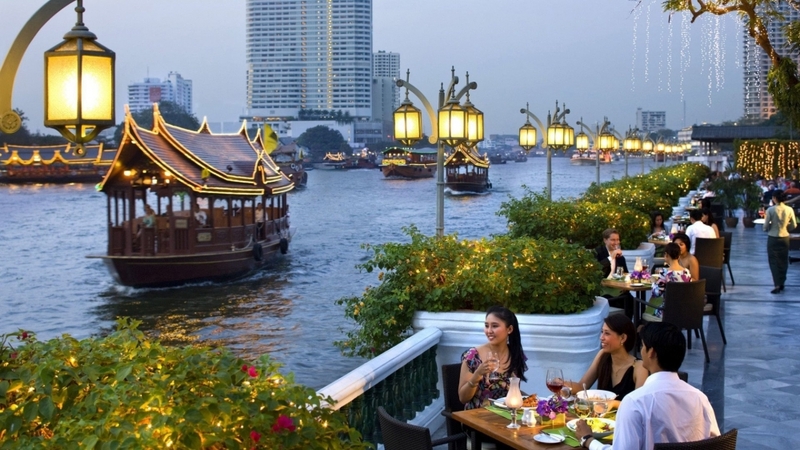 Why Travelers Spend More Money in Thailand Than Anywhere Else in Asia? Every agrees that Thailand is the tourism hotspot in Asia, and it ranks among the hottest destinations in the world. Millions of people flock Thailand for its splendid landscape, cultures, and ...affordable prices. Indeed, it's really inexpensive to travel and spend times in Thailand. But, despite its inexpensiveness, according to UN World Tourism Organization data Thailand outranks every other nation in Asia when it comes to tourism spend. 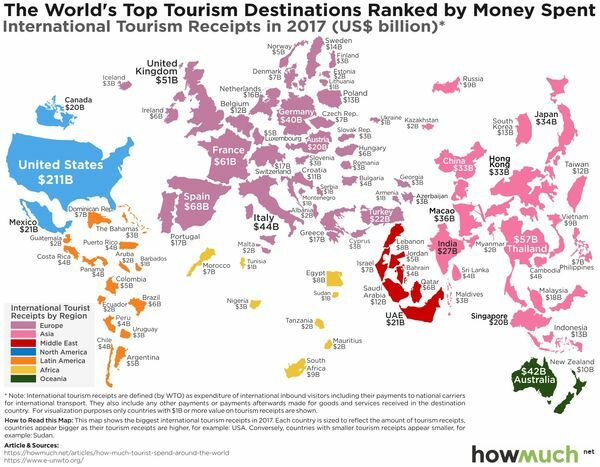 Last year, it collected $57 billion in international tourism receipts, nearly doubling Macao ($36 billion), Japan ($34 billion), Hong Kong ($33 billion), and China ($33 billion). Globally, the only countries that out-earn Thailand in terms of tourism dollars are France ($61 billion), Spain ($68 billion), and the United States—which handily takes the gold medal, at $211 billion. It all comes down to volume. Foreign arrivals could hit 40 million next year, which is more than half the country’s population. “In Thailand, you’ve got something for everybody,” says Rebecca Mazzaro, a specialist for bespoke outfitter ATJ. “From the private island with the private villa to amazing street food meals that only cost a couple bucks, it has a diversity and variety that exists in few other markets. It’s no surprise lots of people are going—and spending,” she says. Mastercard’s annual Global Destination Cities Index recently ranked Bangkok as the most-visited city in 2017 for the third year in a row. The study, based on undisclosed public data sources, rather than cardholder transactions, indicates that travelers shell out $173 for a day in the Thai capital, compared to $537 in Dubai or $286 in Singapore. This year, it forecasts travelers will spend an additional 14 percent more. Countries are ranked based on economics, experience and family life.